We continue our Autonomous Car series today with a report card on our first quarter results with the new Tesla Vision autopilot and a cautionary note to would-be Tesla owners. Since the new Tesla hardware was rolled out to vehicles manufactured in the last couple months of 2016, Tesla has had a bumpy ride and, in no small part, it has been due to self-inflicted wounds. The Tesla executive heading up the autopilot project abruptly quit and allegedly walked out the door with Tesla’s crown jewels. 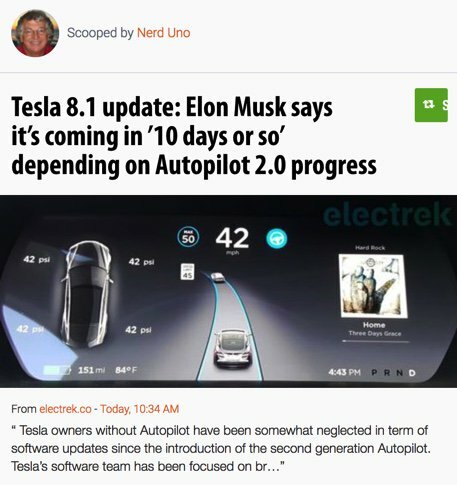 Then it became apparent that Tesla had misled fourth quarter buyers by promising autopilot software that was anything but ready for prime time. In fact, it barely existed. To make matters worse, Elon Musk finally acknowledged a couple weeks ago that their first generation autopilot hardware and software powered by Mobileye was nowhere to be found in the new vehicles. This was a careful way of admitting that Tesla was basically starting over with Tesla Vision. The alarming reports from new Tesla owners (685+ posts) confirmed that fairly quickly. For a glimpse at the complexity of autonomous driving, take a look at this in-depth review. Keep in mind that those who purchased Tesla AP2 vehicles in the fourth quarter of 2016 had never seen an actual AP2 Tesla because they were not yet available. So the entire purchasing decision was based upon Tesla’s and Musk’s representations that the new Teslas were far superior to earlier vehicles both in terms of hardware and software. This was reinforced in the video contemporaneously released by Tesla (below) demonstrating Tesla Vision (AP2) as a fully autonomous driving experience. Only months later when California released its disengagement report for 2016 did we learn that the making of that video apparently resulted in traveling about 500 miles and logging 177 disengagement reports with the state over the 3-day filming period. A "disengagement" is defined as an autonomous driving event that forces a driver to take control of the vehicle. And never mind the video’s opening assertion that the entire trip was hands-free with the driver doing nothing. It further appears that, following production of the Tesla video, further self-driving experimentation with Tesla Vision was completely halted. Details here. We haven’t mentioned SAFETY yet but you’ll want to read this if you’re considering a new Tesla. If you’ve ever driven a car with a toddler sitting in your lap holding the steering wheel with you, then you’ll appreciate the amount of care and attention you need to focus on a Tesla while AP2 is activated. It’s that dangerous. 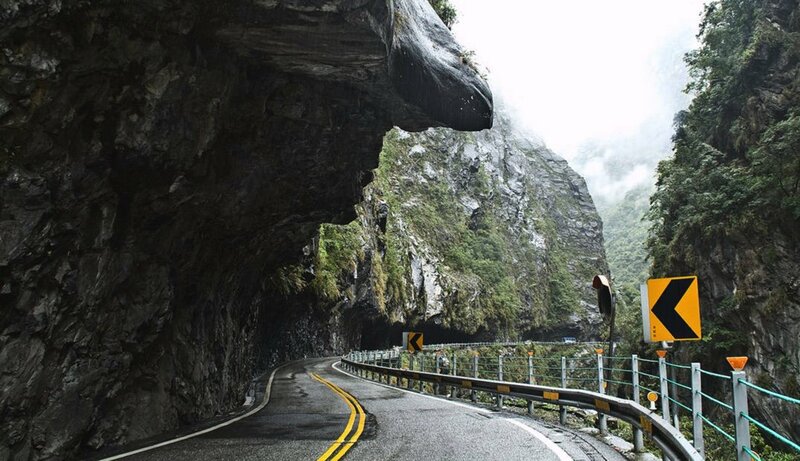 Forum reports of vehicles veering toward guard rails and ditches are common as are reports of Tesla vehicles swerving out of their lane in search of a lane divider while 18-wheelers are within six feet of your car. As one forum member observed, autopilot in a car differs dramatically from autopilot on a plane where a pilot who is alerted to take control has 5 minutes or more to react before a plane can descend from 30,000 feet. With a car, you’re talking about a fraction of a second when autopilot does something stupid and veers into another lane of traffic. This also isn’t a case of your Tesla relying upon Mobileye with a decade of self-driving experience under its belt. We’re talking about brand new, half-baked software. Labeling it as "beta" suggests you really must be a Tesla shareholder. I chose the image at the top of this article because it literally sent shivers down my spine thinking some poor fool might actually try using AP2 on this road. Look at the margin of error available with your $100,000+ autonomous vehicle. For the technically curious, it’s worth mentioning the complexity of the Tesla autopilot approach and how primitive it remains today. Keep in mind that Tesla’s AP1 vehicles had the luxury of Mobileye technology with 10 years of machine learning to identify dangerous and safe objects using cameras. 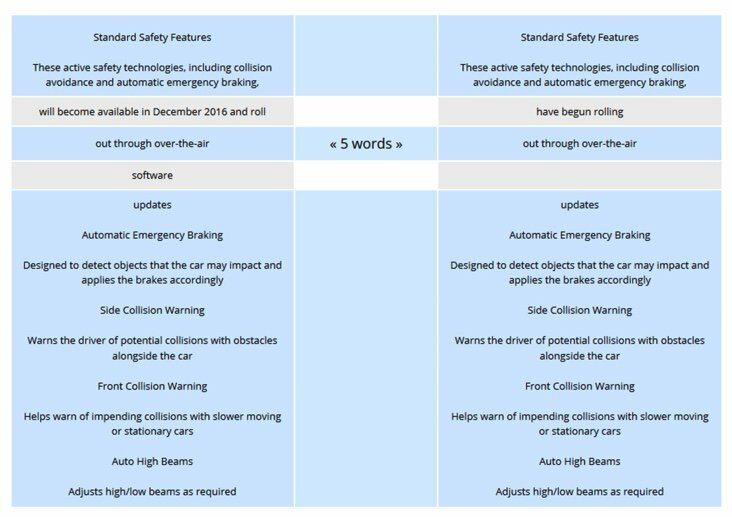 To fully appreciate the enormity of the AP2 problem, take a look at Tesla’s explanation of its new radar-centric approach. Then enjoy a fascinating introduction to Machine Learning 101. In a nutshell, Tesla has got to create a "map" whitelisting every stationary object in the world and determining with 99.99% accuracy whether it is unlikely to pose a collision risk to a Tesla vehicle. The reason is because radar can have a difficult time distinguishing an overhead sign 25 feet in the air and an overhead sign that has fallen onto the highway. You obviously want the car to slam on the brakes for the latter one but not for every overhead sign you encounter while traveling down an interstate highway. We haven’t yet considered electronic highway signs where the messaging on the sign constantly changes. To your Tesla, every change in the sign message looks like a new sign. Here’s another example at the neighborhood level. We have two 90 degree turns in the street near our home. To date, our Tesla vehicle with AP2 proceeds at full speed into both locations. Without manual intervention, the AP2 result would either land your Tesla in the water or it would plow into a wall. Now let’s multiply those situations by a hundred million, and you’ll appreciate the complexity of the task at hand and better understand how deceptive the Tesla video really was. Don’t take our observations the wrong way. We love our Tesla vehicle and appreciate everything Elon Musk is trying to do both in terms of electric vehicles and autonomous driving. But, as we have observed previously, Elon can morph from Steve Jobs visionary into used car salesman with a single tweet. And he often does, particularly when Tesla earnings reports are at stake. We’ve been in the technology business for more than 30 years and we’ve owned 25 different automobiles. When it comes to software development or car purchases, there’s not much we haven’t witnessed first hand. But Tesla’s approach of overselling and underdelivering functionality is novel. And we believe it is precarious if not downright dangerous from both a legal and safety standpoint. That’s unfortunate because a class action lawsuit or serious accident involving a Tesla with AP2 which, unlike the earlier vehicles, has no track record of safety could set back not only Tesla but all autonomous driving projects by years. It also would prompt federal and state regulators to take a very hard look at the types of vehicles which are being unleashed on public highways. Our plea to Elon is please clean up your act before releasing Model 3 vehicles to 400,000 unsuspecting owners. People are accustomed to purchasing vehicles with the expectation that the features they’ve purchased will actually work and will do so in a SAFE manner. They also expect to be able to get their cars repaired. Read this nightmare scenario from a fender bender. Stop overpromising and overhyping what new Tesla vehicles can actually do and level with buyers on the very real limitations of the current vehicles. Drivers need to understand what works and what doesn’t before they set foot in a new Tesla. A simple disclaimer that the software is experimental really doesn’t cut it. As it stands today, autopilot using AP2 is little more than a wish and a prayer much like our license plate. Here’s hoping we all make it through this Magic Carpet Ride alive. Move over Tesla. Here comes Cadillac.